Dennis J. Olson, 65, of Brasher Falls, died on October 19, 2018, at his home. Honoring his wishes, there are no services. Dennis generously donated his body to science. Dennis is survived by his children; Dale and Pattie Olson of Massena, Matthew and Michelle Olson of Alabama, Krystal Olson and Jason Hamilton of Massena, Jennifer Olson of Canton, and Jesse Olson of Canton. He is also survived by his siblings; Daniel Olson of Alabama, Randy and Diane Olson of Rochester, NH, Dixie Olson of New Hampshire, Dianne and Victor Porter of Parsonfield , Maine, Ruby and Roland Simino of Middleton, NH, his cousin and friend Keith Olson, 11 grandchildren, 4 great grandchildren, several nieces, and nephews. He was predeceased by his siblings Ricky Olson, Donna Richards, Raymond Olson and a great-grandson Aiden Riley. Dennis was born on July 1, 1953, in Massena, to the late Harold Vernon and Arlene Joyce LaShomb Olson. He owned and operated Coral Reef Painting in Middleton, New Hampshire. He loved doing commercial painting. In lieu of flowers, contributions can be made to St. Jude’s Children’s Hospital or Susan G. Komen Breast Cancer Fund. Joan E. Kampnich, 78, of Boonville, died on October 20, 2018, at the Sunset Nursing Home in Boonville. 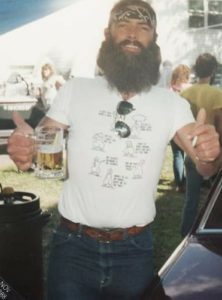 Burial will be Friday, November 2, 2018, 3 PM, at the Hermon Cemetery, a celebration of life will follow at the Lone Wolf Saloon in Hermon. Joan is survived by her son, Daniel and his wife Tracy Wadsworth of Holland Patent, grandchildren, Casey Tyndall of Holland Patent, Kayla Tersip Wadsworth of Remsen, step grandchildren, Chloe and Calli Becker of Holland Patent, special nieces, Yvonne Stewart of Pyrites, Cherie Frisco Williams of North Carolina, Cynthia Kampnich Buell of Lowville, a special friend, Nancy Kampnich, several nieces, nephews, aunts, and cousins. She was predeceased by her son, Lonnie Frisco, brothers, Gary Frisco, Ronald Frisco and Harold Frisco. Joan was born on November 27, 1939, in Ogdensburg, to the late William Ernest and Audrey Peters Frisco, she graduated from DeKalb High School in 1957. Marriages to Daniel Wadsworth Sr. and Bernard Kampnich ended in divorce. She was employed by the US Postal Service as a clerical worker in Syracuse, owned and operated Kam-Bern’s Diner in Remsen, then owned Joan’s Village Inn in Remsen. She moved to Croghan in 1985 and worked as a medical clerk at Fort Drum, until she retired in 2001. In 2001 she became the librarian of the Croghan Free Library. She was a parishioner at St. Stephens Church in Croghan. 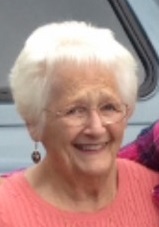 She loved Yankees baseball, traveling, country music, reading and spending time with her grandchildren. In lieu of flowers, contributions can be made to the Croghan Free Library, P. O. Box 80008, 9794 NY Highway 812, Croghan, NY, 13327, the Croghan Fire Department, 6860 Fire Hall St., Croghan, NY 13327, or the charity of one’s choice. 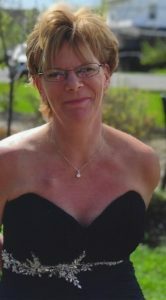 Carrie L. Knapp “Bear”, 42, of DeKalb, died on October 9, 2018, at her home. There will be a memorial service at the Christian Life Fellowship Church, 52 Church St., Gouverneur on Sunday, November 4, 2018 at 12:30 PM, Pastor Lavek officiating. A celebration of her life will follow at the Gouverneur Elks Club. Carrie is survived by her parents, Alan and Valerie Breen Knapp, her companion, Jed Meade, her son, Malachi Schnaderbeck, a daughter and son in law, Montana and her husband Jason Lavigne, brothers, Lee and his wife Cindy Knapp, Timothy and his wife Bettyann Knapp, Andy Knapp and Barbara Crosby, Jesse and his wife Renee Knapp, sisters Betsy Williamson, Erin and her husband David Zahler, Anna Knapp and Cody Peck, grandchildren, Lannah and Georgia Lavigne, several nieces and nephews. She was born on October 17, 1975, in Arlington Vermont. She worked as a cook at the Potsdam Elks Club #2074, prior to that she owned and operated her dairy farm as a single parent with two children. Carrie was a member of the Potsdam Elks Club, a past member of the 4H Club. Her passions were horses, traveling, being near the water and gathering people. In lieu of flowers, contributions can be made to Hospice and Palliative Care of St. Lawrence Valley. 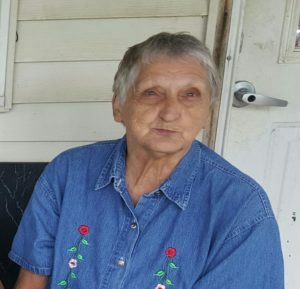 Joan I. Burwell, 78, of DeKalb Junction, died on October 4, 2018, at her home. There will be calling hours on Tuesday, October 9, 2018, 10 am – 12 PM, the funeral service will follow. Joan is survived by her daughters, Marsha Burwell of Oregon, Virginia and her husband Kevin Murray, of Lisbon, Dawn and her husband Chris Meuten of Ogdensburg, Brenda and her husband Michael Hollars of North Carolina, Deborah Middlemiss of Maryland, Jessie Burwell and her companion Brent Brenno of Ogdensburg, a sister, Cheryl Longfellow of California, 18 grandchildren, 29 great grandchildren, several nieces and nephews. She was predeceased by her sisters, Rica Parras, Theresa Brown and a grandson James Burwell. Joan was born on June 11, 1940, in Potsdam, the daughter of Earl and Virginia Rheome Puirre. A marriage to James R. Burwell ended in divorce. She worked as a self-employed housekeeper. Joan was a member of the Hermon DeKalb Senior Citizen Club, a past member of the St. John’s Episcopal Church in Canton. She enjoyed, dancing, traveling, reading, and going to AM VETS Post 11. In lieu of flowers, contributions can be made to AM VETS Post 11, USH 11, DeKalb Junction, NY, 13630.